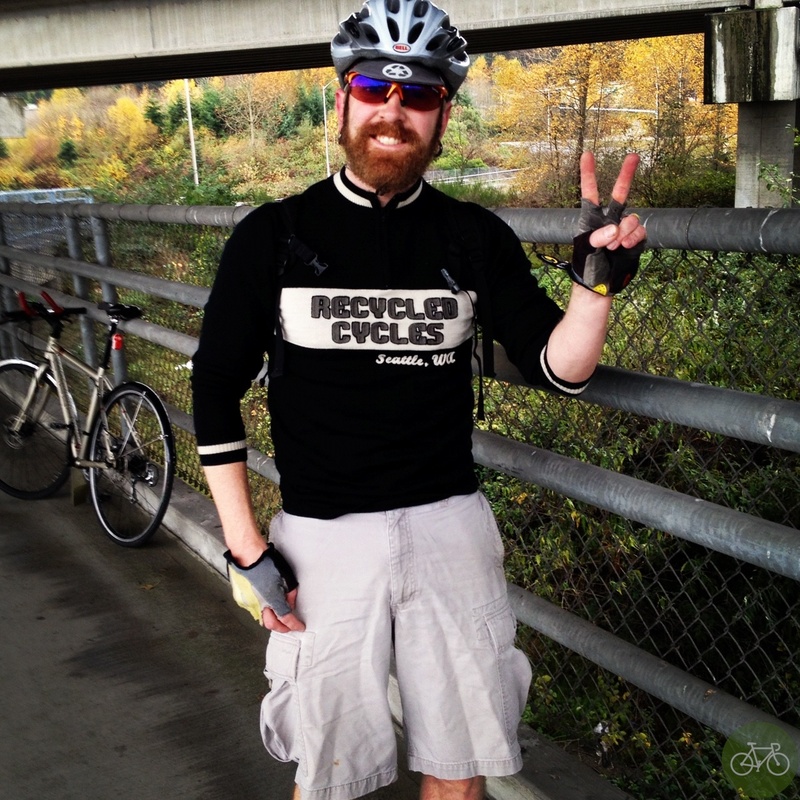 Riding up the 1st Ave Bridge, turning back towards West Seattle from South Park first saw these socks and then this Recycled Cyclist. He stopped to say hello, ask directions, and we asked if he’d lost his socks. 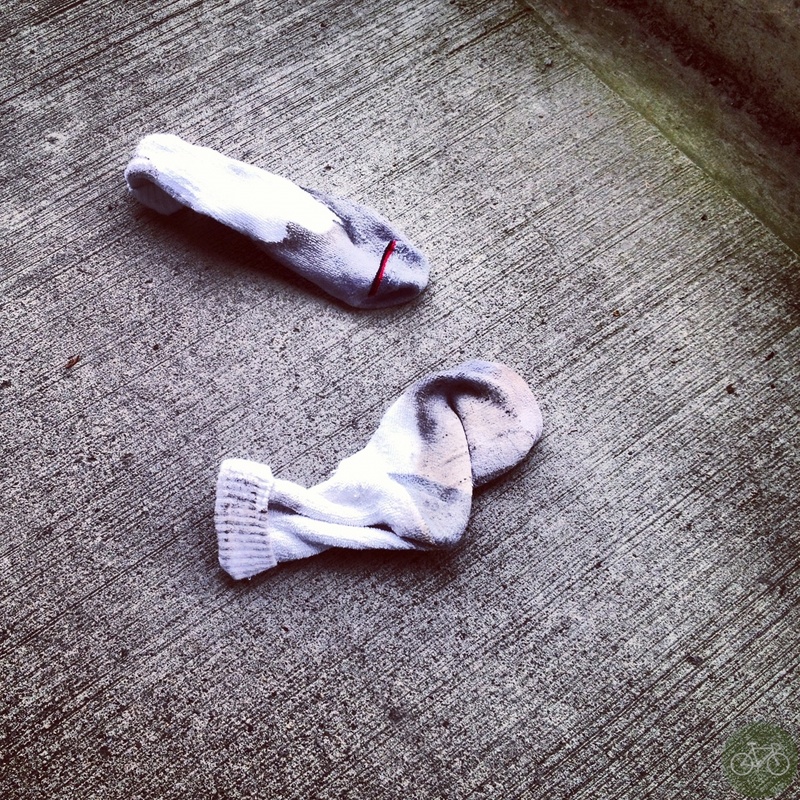 “No.” Suggested a route to Kent, continued on our way, and hoped whoever did lose their socks finds them. We left them behind. It’s getting cold outside. Previous Previous post: Jiff on a Bike!